Blogger Blogpost is one of the best and free platform which has been provided by Google Team . In this era blogging is a passion and the source of smart and handsome income for every article writer . Most of the people prefer Wordpress blogging which is also a good and smart choice , but when they want to put adsense ads on their wordpress theme , website or blog they face rejection by the google . Let me clear on thing and concentrate on that point plz " Blogger Blogspot and Google Adsense both are the products of google " so please keep in your mind Blogspot is much reliable and google team which provide ads they also prefer blogger blogspot rather than Wordpress , but at the end the choice is yours . according to my point of view blogspot is better , free and good choice to make and earn money from adsense . If you are using Blogger blogspot and want to apply for adsense advertising , there are some instructions you should keep in your mind . The theme or template that you using should be adsense friendly , SEO optimized and user friendly . 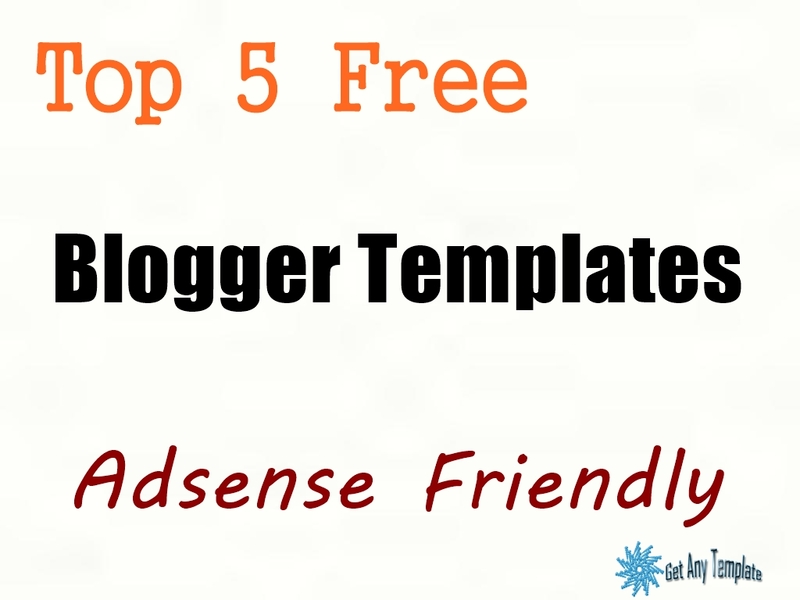 so now we are going to provide you best top five free blogger blogspot templates which are fully SEO optimized and adsense friendly .. if you use these templates for your blog and apply for adsense then never you'll face rejection from the google team . Vienna Lite 2 Template is free of cost for every blogspot user . Template is fully responsive and user friendly layout . Fully SEO optimized and Adsense Friendly . Social Widgets are available for facebook , twitter and google plus profile . Design is elegant and fast loading template ever . Classic Navigations with simple drop down and sub drop down menus . Wide content area for content posting with 1 side bar on right side for popular posts . Astonish Blogger Template is also one of the most demanding template just because of its layout and design . Larger amount of widgets and options are available for Astomish Blogger Template . Features posts with larger Thumbnail is extremely awesome , the look and the layout of the product is totally professional . Astonish Template is fully responsive , user friendly and mobile friendly template ever , Template is fully SEO Optimized and Adsense friendly . you can use it on your blog if you want to approval for adsense . The template has beautiful header for banner ad , classic navigations with black and white colour combination . Latest News navigation Ticker is also available on the top , Social Widgets are there with larger and awesome thumbnails . you can download this template from our blog without any cost and use it for lifetime without any hesitation . Astonish Blogger template is a magazine style layout which is totally free . user friendly interface and fast loading speed . fully responsive and SEO optimized design ever . Adsense Friendly product with many ads space options . Featured Post options with large thumbnails . Easy to use and customize . Latest News Ticker with marquee tag . Attractive footer with many options to customize . Duos mag template is free of cost and user friendly template ever . Large thumbnail and featured posts widgets are available for this template . Fully responsive for any device and SEO optimized . 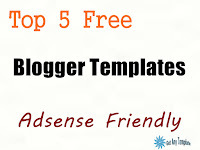 Adsense Friendly template to get fast adsense approval with fast loading speed . Attractive full width footer with customize options . Wide content area for posting articles with 1 simple sidebar on right side . G Vusion Blogger Template looks like Vienna Lite 2 template , but the features and widget options are much and reliable in G vusion 2 Blogger Template . G vusion 2 Template is also free of cost and user friendly product for every blogspot user . The design and layout of template is so simple and elegant with fast loading speed . The product is fully responsive for any device and SEO optimized . G Vusion Blogger template is adsense friendly theme ever . Simple and beautiful header with top menu pages like contact us , sitemap e.t.c . Classic Navigations with simple drop down menu and 1 side bar is available for social widgets and popular posts . Attractive and elegant footer with customize options . Wide content area for posting you can download this template free of cost from our site and use it for life time . G Vusion 2 Blogger Template is free and user friendly product . Fully SEO optimized and Adsense friendly template ever . Classic navigations with drop down menu . 1 sidebar for social widgets and popular posts . Awesome footer with customize options . Wide content area for post articles . simple . elegant and classic layout with fast loading speed . Easy to customize and use for beginner . Ideas Mag Blogger Template is totally Free like others and user friendly product . Template is fully responsive for any device like mobile or desktop . Adsense Friendly Template ever . Classic Navigation with attractive drop down menu . Wide Area for content post with 1 sidebar for featured posts . Best ads blank space already there for adsense ads , you don't need to create space . Awesome Footer with customize options like featured , popular posts or personal info .